London: Fugitive Indian diamantaire Nirav Modi was arrested in central London on Tuesday evening and was produced in the Westminster magistrates court, where the court refused him bail, reports Hindustan Times. 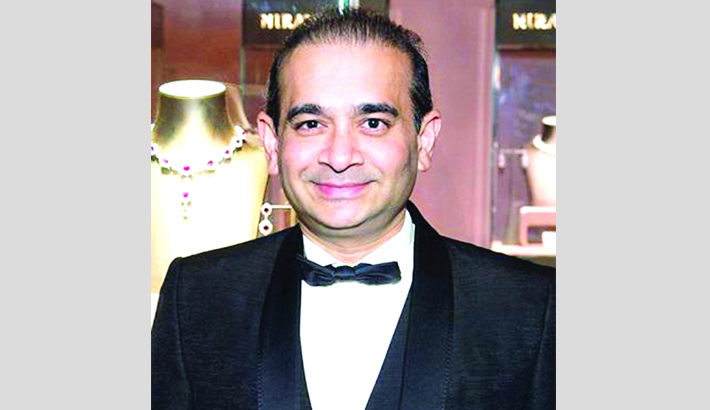 Nirav Modi, 48, is the subject of an extradition request by India, where he is accused of major financial irregularities running into thousands of crores linked to the Punjab National Bank. News agency PTI reported that Nirav Modi contested his extradition to India. The extradition case of Nirav Modi is likely to follow a similar pattern of that of controversial businessman Vijay Mallya. The liquor baron’s extradition was ordered by the magistrates court and home secretary Sajid Javid and is now in the appeals court, where a judge will rule whether the appeal will be heard or not. Nirav Modi continues to figure in Interpol’s wanted list on its website. The charges against him, as provided to the international police organisation by India includes criminal breach of trust by public servant, or by banker merchant or agent, cheating and dishonestly inducing delivery of property, and money laundering. His Nirav Modi’s arrest by the Scotland Yard triggered the first stage of the legal process for extradition. Yesterday, a top court in the UK issued a warrant to arrest Nirav Modi, days after British home secretary Sajid Javid certified India’s request to extradite him to face charges of financial irregularities in the Rs 13,500-crore PNB fraud case. In the case of Vijay Mallya, India sent the request towards the end 2016. It was certified by the home secretary on February 21, 2017. Mallya was arrested and bailed two months later on April 18, 2017, when his extradition hearings began.